L. A. County Employees Retirement Assoc. The Los Angeles County Employees Retirement Association (LACERA) provides retirement, disability, and death benefits to eligible County employees and their beneficiaries. They collect, deposit, invest, and manage retirement funds. Los Angeles home health agency providing senior companions and caregivers. Provides non-medical, in-home caregiving and companionship home health services to all ages. Certified Senior Approved. Welcome to Assisted's official website of home health Los Angeles, providing home health care in Los Angeles, North Hills, Thousand Oaks, Ventura, Covina, Santa Barbara, California and also in Arizona, Scottsdale and Glendale, Arizona. To enrich lives through effective and caring service: Illnesses, diseases, symptoms, first aid, wellness. Medical Test: Tests and exams for medical conditions. Drug Information: Prescription and non-prescription drugs. Provides information and assistance to Los Angeles senior citizens. Information on social services available to L.A.'s senior population. Elder Care - Get information on alzheimers disease. Garden of Palms - Assisted Living, Retirement and Alzheimer's Community in Los Angeles, California. Alzheimers senior care facility In Southern California. 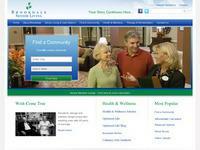 Assisted Living, Retirement and Alzheimer's Community in Los Angeles, California. Senior Citizen. Alzheimers senior care facility in Southern California, nursing home. Message from Elder Abuse. Los Angeles County District Attorney's Office.